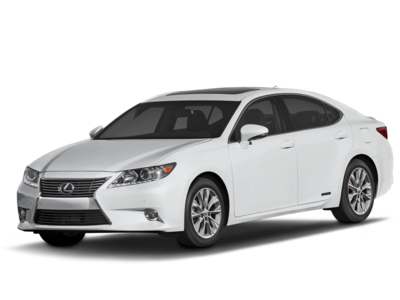 Ranked at the bottom of the pack, the 2014 Lexus ES finishes in tenth place for Best Gas Mileage Hybrids. Current inventory meeting this criteria averages 41,521 miles. The 2014 ES achieves a combined MPG figure of 40. Scroll down to see what's available in your area right now. Ranking ninth for Best Gas Mileage Hybrids is the 2014 Toyota Avalon. Current inventory meeting this criteria averages 44,421 miles. The 2014 Avalon achieves a combined MPG figure of 40. Take a look below to find the Avalon in your area that suits you best! Ranking eigth for Best Gas Mileage Hybrids is the 2014 Toyota Camry. Current inventory meeting this criteria averages 45,850 miles. The 2014 Camry achieves a combined MPG figure of 40. Scroll down to see what inventory is available in your area - hurry, before these great deals sell out! The 2013 Ford C-MAX ranks seventh for Best Gas Mileage Hybrids. Current inventory meeting this criteria averages 59,454 miles. The 2013 C-MAX achieves a combined MPG figure of 40. Scroll down to see what inventory is available in your area - hurry, before these great deals sell out! Ranking sixth for Best Gas Mileage Hybrids is the 2017 Ford Fusion. Current inventory meeting this criteria averages 20,758 miles. The 2017 Fusion achieves a combined MPG figure of 42. Scroll down to see available inventory for 2017 Fusions in your area. Slotting in at fifth for Best Gas Mileage Hybrids is the 2015 Lexus CT. Current inventory meeting this criteria averages 26,150 miles. The 2015 CT achieves a combined MPG figure of 42. Take a look below to find the CT in your area that suits you best! Coming in at number 4 in our list of Best Gas Mileage Hybrids is the 2014 Toyota Prius v. Current inventory meeting this criteria averages 43,967 miles. The 2014 Prius v achieves a combined MPG figure of 42. Scroll down to see available inventory for 2014 Prius vs in your area. Ranking third for Best Gas Mileage Hybrids is the 2017 Honda Accord. Current inventory meeting this criteria averages 8,331 miles. The 2017 Accord achieves a combined MPG figure of 48. Scroll down to see available inventory for 2017 Accords in your area. Slotting in at second for Best Gas Mileage Hybrids is the 2014 Toyota Prius. Current inventory meeting this criteria averages 42,804 miles. The 2014 Prius achieves a combined MPG figure of 50. Take a look below to find the Prius in your area that suits you best! The 2014 Toyota Prius c ranks first for Best Gas Mileage Hybrids. Current inventory meeting this criteria averages 37,214 miles. Fuel economy is rated at 50 MPG combined. Scroll down to see what inventory is available in your area - hurry, before these great deals sell out!